Tips To Start Your Own Clothing Business. You’re excited to start your own clothing line, so much so, that you actually started to see dreams about your business’ success. However, you might also be nervous about this new venture. And that’s perfectly normal, especially if it’s your first time to establish a business on your own. But don’t worry! 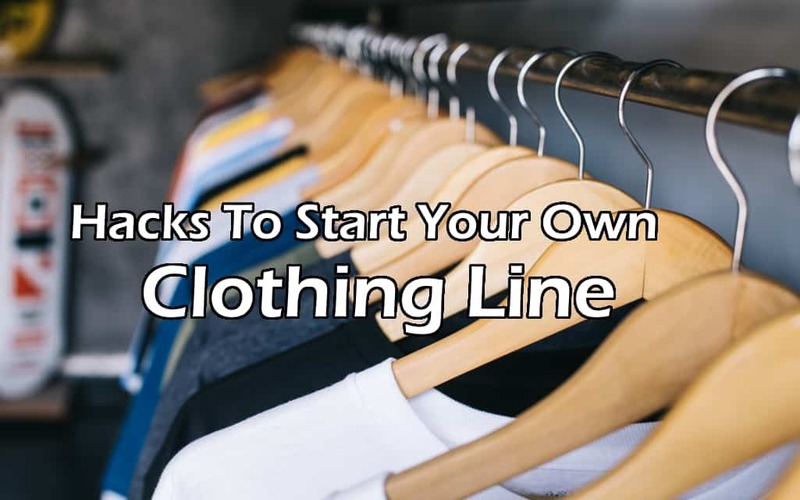 Here are some helpful tips that will make it easier for you to start your own clothing business. For any kind of business, it’s always a must to research. This doesn’t just mean that you need to read about statistics and boring numbers. As a business owner, you need to read the stories of successful clothing brands and discover the strategies that they used for their businesses. Once you discover their strategies, you will be able to evaluate if you can use them for your own business. Researching also means you’ll have enough knowledge about the industry, and that is very important. Knowledge is power. If you know enough about how the fashion or the clothing industry works, you will be equipped and you’ll feel ready to start your journey! A good business plan is really important because it helps you get your thoughts together and make your business more organized. When you’re building a business, it is really easy to panic, get excited, and get overwhelmed about everything that needs to get prepared. And this might cause a lot of people to get scared or mess up their businesses. Your target market, the products or items that you want to sell, the marketing strategy, the team that you’ll need to help you, and the financial forecasts are all organized using a business plan. A business plan isn’t just another report or paper that you need to do before starting. It includes everything that you’ll need so you can analyze, strategize and start your clothing business. Another thing that you need to do after the planning, is to know your competitors. Aside from making your target customers love your products, you also need to show them that you are better than your competitors. But to do this, you have to know about them. You can easily do this by reading their blogs or even signing up for newsletters. This way, you’ll know what they offer to people and how you can compete with them. It’s not enough to have a product. What you should think of is how you can create an amazing product that people would want to buy. You have to ask people that belong to your target market about what they think is a great product. What is the quality that they want? What designs or trends do they want to see from a clothing business? But don’t stop after getting these opinions. You also need to think which items or styles will suit your brand. Your business’ identity is also important. The challenge here is to find the balance, satisfy the needs of the customers, and at the same time, bring something unique on the table. The next step is to know how much everything is going to cost you. Now that you’re done planning and organizing your business plan, you know the things that you need to prepare and pay for. At the same time, you probably have decided about the kinds of designs that you want for your products. So now, it’s time for you to compute the costs and the fees that you need for the business. Looking for a good business partner doesn’t only mean that you need to have someone who will co-own the business with you. If you want to be a sole proprietor of your clothing line, that’s perfectly okay. But you must also have the right people by your side. Partner with people who have the same passion as yours. Hiring employees who really care about your business and clients will be great assets to your business. Aside from this, you can also look for manufacturers or suppliers that you can trust to make products of great quality. You can do this by using platforms like sewport. This platform will help you connect with the right people who can make the business easier for you. Establishing your own clothing line is not going to be easy. It’s overwhelming and can be stressful sometimes. But as long as you are following the process, you should be okay. A lot of people have a tendency to adopt shortcuts because they are very impatient and want to get the business started immediately. Avoid falling for this. Keep in mind that great things won’t come easy. So just take a deep breath. Start with doing your research about the clothing industry. This is vital, especially for newbies. Know what’s in or not. Don’t recklessly start a business without researching the trends and the profitability associated with it. The next thing to do is to create a business plan. If you want to win the competition, you need to have a great battle plan. In the process of preparing your business plan, you will be able to know your competitors as well. If you want to win, you have to create business that is going to be better than your competitors.